Large swaths of California have been destroyed by wildfires that have left at least 21 dead, razing thousands of homes and businesses throughout the region. Twenty-two fires are still burning around the state, their strength exacerbated by relentless winds. 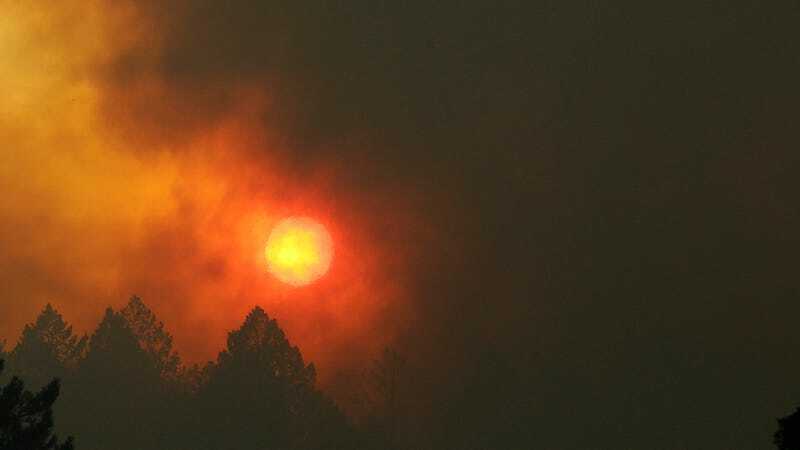 According to ABC News, 170,000 acres of land have been charred, and at least 20,000 residents have been forced to evacuate. Damage to buildings is estimated at around 3,500 structures. Among those working to tamp down the seemingly uncontrollable blazes are around 200 female inmates, working on salaries of $1 an hour when they’re on the fire’s front lines, and $2 per day on top of that. “We are the ones that do the line. We are the ones that carry the hose out. We’re the line of defense,” Sandra Welsh, one of the incarcerated women, told NBC News. In total, around 3,800 inmates—men and women—fight fires in California, comprising around 13 percent of the state’s firefighting force. Their low salaries save taxpayers $124 million per year. Talking to NBC, Welsh says she sees the program, which inmates sign up for voluntarily, as a net positive for her and her family. Incarcerated or not, California’s fires are working firefighters to exhaustion. Though there are around 800 personnel working around the clock to contain them, their strength is being tested.